Today in Masonic History William Claude Dukenfield is born in 1880. William Claude Dukenfield (a.k.a. 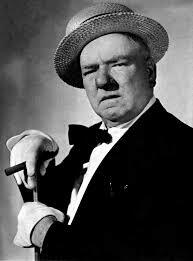 W. C. Fields) was an American comedic actor and entertainer. Dukenfield, who I will refer to as Fields throughout this article, was born in Darby, Pennsylvania on January 29th, 1880. Fields had a volatile relationship with his father growing and would often run away for short periods of time to live with his grandmother or with various uncles. At the age of twelve while Fields was working with his father the two had an argument and fields ran away again. After that Fields found work in other places. Due to his often running away, Fields never made it past grammar school. He would also later in life embellish his running away. He would tell stories of himself living on the streets with only his wits. Despite the repeated running away, Fields actually had a pretty good home life and his entire family, including his father were very supportive of him in his entertainment career. At one point his father traveled to England to see his son perform. Fields purchased a summer home for father and encouraged family members to read and write so they could keep in communication. In 1898, Fields officially became W.C. Fields as his stage name. His early act was strictly juggling, which he had been already working on for years in local theaters and churches near his home. He almost never spoke in his early act, this was to conceal a stutter. By the early 1900's he was touring all over the world. When he played in front of English speaking audiences he would, for show, add muttering to his act. He would intentionally drop things and then mutter at the ball, like it was the ball's fault. This Fields found gained him a great deal of laughs. By 1905, Fields began appearing on Broadway in various comedic plays. He discovered that to get to the point in his career that he wanted to go he needed to start speaking on stage. In 1915, he became a regular with the Ziegfeld Follies. He appeared in the Follies until 1922. Also in 1915, Fields began appearing in movies. Some of his first films were filmed in New York City because his Broadway schedule would not allow him to travel to Hollywood. In the mid 1920's Fields left Broadway and began working in film. He would work in film until the 1940's when his drinking and health issues would make studios reluctant to work with him. Fields was interestingly a staunch atheist. At least one quote on this subject states that he "regarded all religions with the suspicion of a seasoned con man", which may imply that he may have been less of an atheist and more a person who was anti-religion. Fields was a studious man despite his lack of formal education and had a library built into his house later in life. When caught once reading the Bible, he stated that he was "looking for loopholes". Fields main focus of study was Theology. One of the most famous quotes that was attributed to Fields, "any man who hates dogs and babies can't be all bad" was actually not said by Fields. A humorist a dinner for Fields actually made the quote. The error just reinforced the idea that many already had that fields did not like dogs or children. Fields actually loved to entertain children and would often entertain the children of friends when they visited. He would also respond to children who wrote him letters asking how to become a juggler after seeing some of his films or performances. He also owned several dogs. Fields, a heavy drinker later in life, passed away on December 25th, 1946. It was a holiday that he claimed to hate. He passed away from an alcohol-related gastric hemorrhage. Fields was a member of E. Coppee Mitchell Lodge No. 605 in Philadelphia, Pennsylvania. He was raised on May 20th, 1907. He was suspended for non-payment of dues on December 16th, 1924.